WILLIAMSTOWN — During a break from rehearsal at an elementary school here, the songwriting brothers Willie and Robert Reale took a moment to ponder the underlying message of their musical “Johnny Baseball.’’ The show, which explores the fabled “Curse’’ long blamed for the Boston Red Sox’s failure to win a World Series from 1918 to 2004, begins performances Wednesday at Williamstown Theatre Festival. Interestingly, they describe their original version of “Johnny Baseball’’ in similar terms. 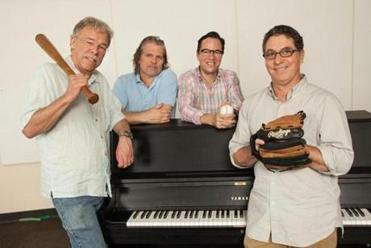 When the musical about racism, the Red Sox, and a pair of young lovers premiered in 2010 at the American Repertory Theater in Cambridge, the verdict of Dresser and the Reale brothers was: not a home run. 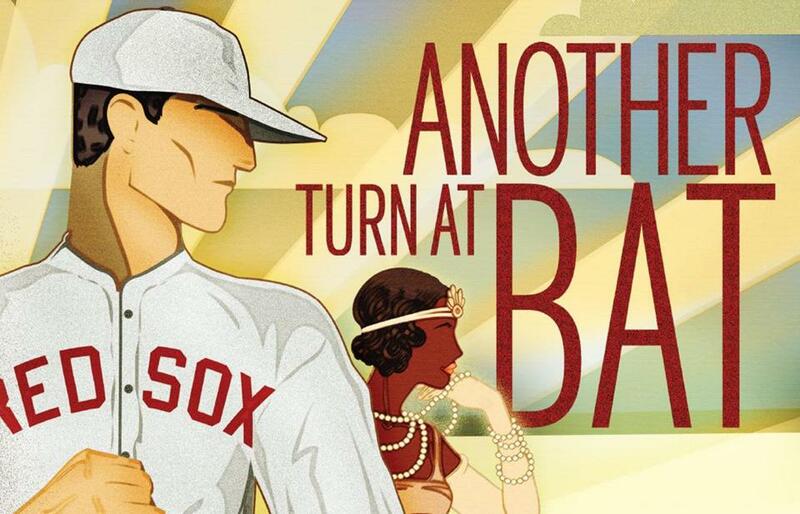 So the creative team suited up again and plunged back into the fictional story of Johnny O’Brien, a white rookie pitcher for the Red Sox (whom a sportswriter nicknames Johnny Baseball), and Daisy Wyatt, an African-American nightclub singer, with a roster of supporting characters that includes Babe Ruth, Willie Mays, and Tom Yawkey. The show jumps around chronologically, spanning 1919 (Ruth’s last year with the Sox), the 1940s, and 2004, when the Red Sox finally won the World Series. A roundup of Greater Boston performances. The pernicious effect of racism is a core theme of “Johnny Baseball.’’ In Act 1, mostly set in 1919-20, prejudice complicates the love affair between the young Johnny and Daisy, and in Act 2, bigotry raises its ugly head even more decisively when an African-American pitcher is granted a tryout at Fenway Park in 1948. Harry Frazee, the Red Sox owner who sold Babe Ruth to the New York Yankees, earned the undying enmity of generations of Sox fans, giving birth to the notion that the “Curse of the Bambino’’ lay behind the team’s failure to win a World Series for 86 years. But “Johnny Baseball’’ reframes the idea of the Curse, suggesting that it had to do with institutional racism, not the sale of the fabled slugger. From left: Richard Dresser, Robert Reale, Gordon Greenberg, and Willie Reale. So how much of the show is new? The Reale brothers cut four songs from the original production and wrote six new ones, including “Mister Moon,’’ sung by Daisy while a spark flares between her and Johnny. Dresser rewrote the book so extensively that he estimates the current script is 50 percent new. The story now focuses more intently on the dynamics of the star-crossed love affair between Johnny and Daisy. Daisy is now a bit tougher, more worldly, more of a leader in the relationship, and less of a “country girl’’ than in the original, according to Dresser. The audience gets a more in-depth look at the blossoming of her nightclub career. What Johnny and Daisy do not do a lot of, in the new version, is talk directly about race. The show reminds audiences that the Red Sox passed up the chance to sign Jackie Robinson and were the last team in Major League Baseball to field a black player: Pumpsie Green, in 1959, a dozen years after Robinson broke the color barrier by playing with the Brooklyn Dodgers (the subject of the recent film “42’’). Tom McGowan, best known as Kenny, the nebbishy, insecure radio station manager on “Frasier,’’ radically departs from that character to portray the bawdy, hard-drinking Babe Ruth. The Babe plays a more consequential role in the musical’s plot than he did in the original. 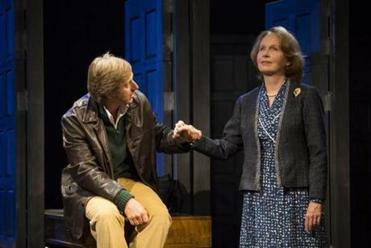 Both Yawkey and Frazee are portrayed by Williamstown Theatre Festival favorite Brooks Ashmanskas, who starred in a memorable production of Neil Simon’s “Last of the Red Hot Lovers’’ last summer. “Johnny Baseball’’ is framed by the fourth game of the 2004 American League Championship Series between the Red Sox and the Yankees — the one that David Ortiz won with a dramatic homer, triggering an epic comeback and an eventual World Series victory that ended that 86-year drought for Red Sox fans. Anxious Sox fans serve as a kind of Greek chorus in the 2004 scenes of “Johnny Baseball,’’ but the revamped version devotes less time to the diehards of Red Sox Nation. “We were so enamored of the fans the first time around that we got into their personal stories,’’ said Dresser. “What we realized this time around is we’ve got to stick with Johnny and Daisy and the Curse.’’ With regard to their own rooting interests, Dresser is a Red Sox fan, while the Reale brothers are, ahem, Yankees fans.